As members of the ASEAN community, we have all heard of the joint effort for integration called - the Asean Economic Community (AEC). The AEC is an effort to work together as an economic power where a single market and production base allow for the free flow of goods, services, investments and skilled labor. A region fully integrated into the global economy, the AEC could be the 4th largest economy in the world. The AEC comprises 10 ASEAN Members – Brunei, Cambodia, Indonesia, Laos, Malaysia, Myanmar, the Philippines, Singapore, Thailand and Vietnam – and each country presents a dynamic economic background. 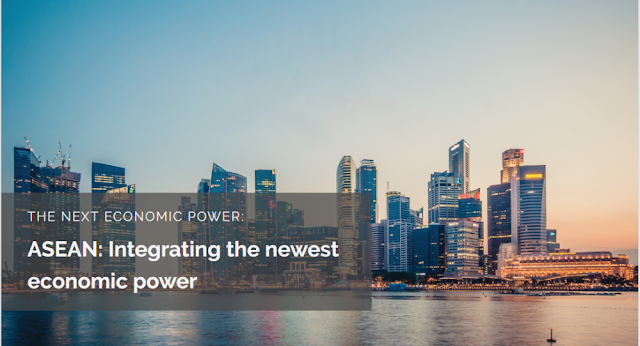 By linking up the less developed economies with the more developed ones, the AEC will catalyze more equitable economic development across the region. ASEAN has some of the highest digital adoption in the world and a large population of youth under 30. How can this favor continuous inclusive integration around the region? Many countries are now trying to ‘leapfrog' from newly developing countries towards becoming technologically advanced ones. Brick and mortar businesses are constantly learning to adapt with new technologies and keep up with the rising digital disruptions in their respective industries. Infrastructure-wise, this has given the AEC an advantage to adjust as part of an integrated world in an accelerated pace. With more than 67 million households in ASEAN states becoming part of the “consuming class,” we see a strong shift towards modernization. In the Philippines, there are numerous initiatives from all sectors. The Department of Trade and Industry (DTI) and Ideaspace Foundation (Ideaspace) recently launched the QBO Innovation Hub. QBO aims to link innovators, explorers, investors, academic institutions, start-up mentors, funders and enablers as well as a broad spectrum of partners and stakeholders from both public and private sectors to convene in constructive interaction. It also serves as an avenue for micro, small and medium entrepreneurs (MSMEs) to collaborate and explore opportunities that disruptive technologies can offer. Another initiative is the Philippine’s first Fabrication Laboratory (FabLab) shared service facility in Bohol. A project funded by the The Department of Trade and Industry (DTI), Japan International Cooperation Agency (JICA), Bohol Island State University (BISU), and the Department of Science and Technology, this collaboration aims to provide local manufacturers, designers and artists to prototype innovations and inventions. With the help of technology, FabLab provides grassroots communities translate concepts into reality. The Fourth Industrial Revolution presents AEC a myriad of challenges to keep up with global competition. For instance, local brick and mortar businesses are under pressure to analyze all data attributed to their respective industries to keep up with global businesses that are now targeting their region. As the general population moves towards digital connectivity, metrics can be easily measured and analyzed, providing greater efficiency and accuracy in the pursuit of doing better business. With all these rising concerns, countries in of AEC have created forums and conferences tackling regional disruption and what is needed to be competitive in the global scene. The Open Collaboration with East Asia New Champions (OCEAN) Summit to be held in Bohol on November 24-26, 2016 aims to address this topic for the Philippines specifically the breakout session aptly called: The Next Economic Power: Navigating the ASEAN Collaboration.